Jewish-Christian relations have appeared to enter a new stage of tolerance and acceptance, although it is uncertain to what degree the new conciliatory attitudes will reach laypeople on the congregational level. In an exchange of letters marking the 50th anniversary of the Vatican document Nostra Aetate in December, more than 50 Orthodox rabbis issued a statement calling for an acceptance of Christianity not as an “accident or error but as the [as] the willed divine outcome and gift to the nations.” Under such a calling, both Jews and Christians have a common mission to “perfect the world,” so that all humanity will call on God’s name and “abominations will be removed from the world.” A week later, the Vatican’s Commission for Religious Relations with the Jews announced that Catholics should not evangelize Jews in an organized way. The document adds “that the Catholic Church neither conducts nor supports any institutional mission work directed towards Jews.” The Jewish statement “is a very real indication that the Orthodox rabbinate is grappling with how to understand Christianity in an era when Christianity is reaching out to Judaism and has repented of its sins against us,” says Yehiel Poupko, an Orthodox rabbi and scholar, in an article in Christianity Today (March). In his blog at the American Interest magazine (Jan. 21), sociologist Peter Berger compares the recent statement by the Orthodox rabbis to Dabru Emet/Speak the Truth, a statement also affirming that Jews and Christians worship the same God issued in 2000 by a group of Reform and Conservative rabbis. 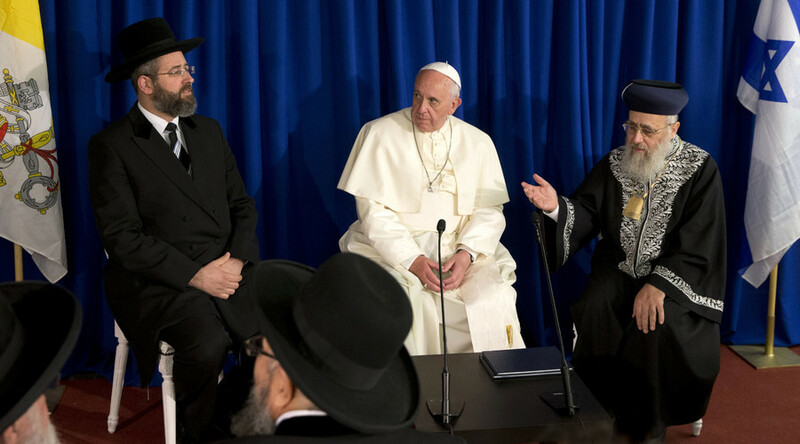 Orthodox Jews sharply criticized the document and objected that claiming that Jews and Christians worship the same God ignored the idolatry of Christianity’s teachings on the incarnation and the Trinity. Berger writes, “Thus the statement by the group of Orthodox rabbis…must have been music to the ears of dialogue-minded Christians waiting for more orthodox partners than the signatories of Davru Emet…It opens a door for some Orthodox participation in the sought-after-interfaith dialogue; many Orthodox, even this side of Haredim, will not want to walk through this door. It will all depend on who on either side will make which interpretations….” As to the Vatican statement, it is likely to widen the already existing divide between Catholics and evangelicals as to whether Christians should evangelize Jews. The Christianity Today article quotes Jim Melnick of the Lausanne Consultation on Jewish Evangelism as saying that “we strongly reject how [the Vatican] has turned scripture on its head,” in denying the biblical imperative to evangelize the Jews.